Sometimes the most wonderful homemade home fragrance combinations can arise from unexpected locations. When cooking, you’ll often hear someone ask about that amazing smell coming from the kitchen. During the holiday season, you may hear comments about the smell of cider simmering on the stove. The common factor in many of these comments is the way heat releases fragrances throughout the home. This tutorial capitalizes on that idea by creating several clever recipes that can be placed in a stovetop pan and simmered for several hours (occasionally adding more fluid) to add a refreshing scent throughout the home. 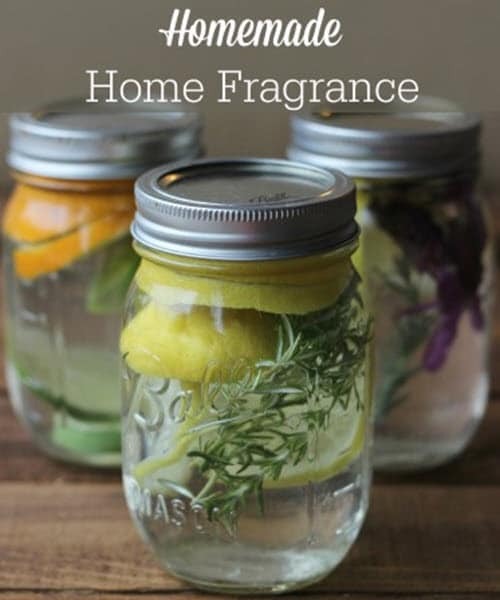 By adding simple ingredients to boiling water and then lowering the temperature to simmer, you can create a long-term scent that will radiate throughout the house.